GRAMBLING, La. — A suspect is in custody in the double-killing at Grambling State University — and it's a fellow student. Jaylin Wayne, a 19-year-old freshman from St. Louis, faces first-degree murder charges in the shooting that killed another student and his friend after a fight on the Louisiana college's campus, Lincoln Parish Sheriff's Office spokesman Maj. Stephen Williams said in a news release. The shooting followed an altercation that started inside a dorm room and spilled out into a courtyard about midnight Tuesday, Williams said. Wayne turned himself in Thursday evening after his arrest warrant was issued. Sheriff Mike Stone said in a statement earlier this week that the suspect and victims knew each other "to some extent." He stressed that the shooting wasn't random or an act of terrorism. "It became apparent very early in the investigation that this was not some random occurrence, that these people did know each other," Grambling State President Richard Gallot Jr. said in a telephone interview after the student's arrest. University spokesman Will Sutton identified the victims as Grambling junior Earl Andrews and Monquiarious Caldwell, both 23 and from Farmerville, Louisiana, about 30 miles (48 kilometers) from Grambling. 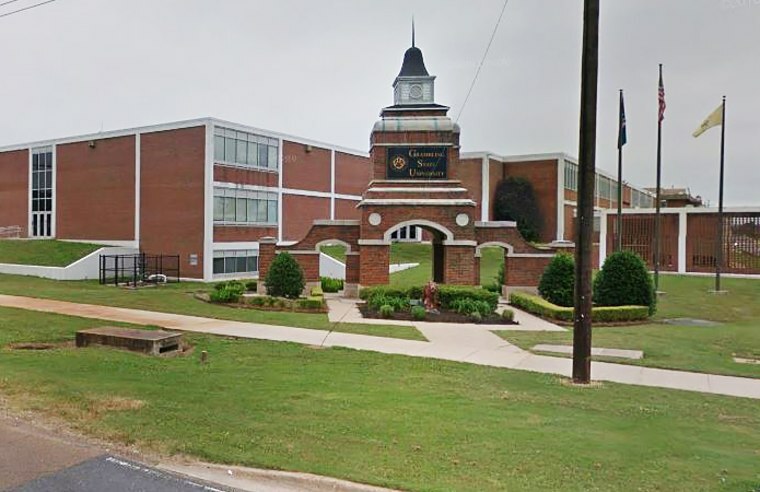 Classes have been held as usual at the historically black college in northern Louisiana, where nearly 5,000 students are enrolled. But Gallot said the campus will have "increased police and security" this week. He also said that student leaders decided to hold a "peace walk" on Friday instead of a homecoming pep rally. "It's a very sad and unfortunate situation," he said. Andrews' brother, Ledarius Heard, told The Associated Press in a telephone interview that Andrews and Caldwell were friends from high school and cousins by marriage. Heard, 31, said his brother, who lived with him off campus in Ruston, was studying criminal justice and hoped to move to Texas after graduation to be closer to his 1-year-old son. The deadly shootings happened during the school's homecoming week. Heard said Andrews typically came home immediately after his classes but had been on campus Tuesday night to hang out with friends during homecoming week.